There is nothing more painful in booking meetings than switching from email to calendar and back again, Boomerang Calendar solves this problem with a simple and elegant solution that saves massive amounts of time. 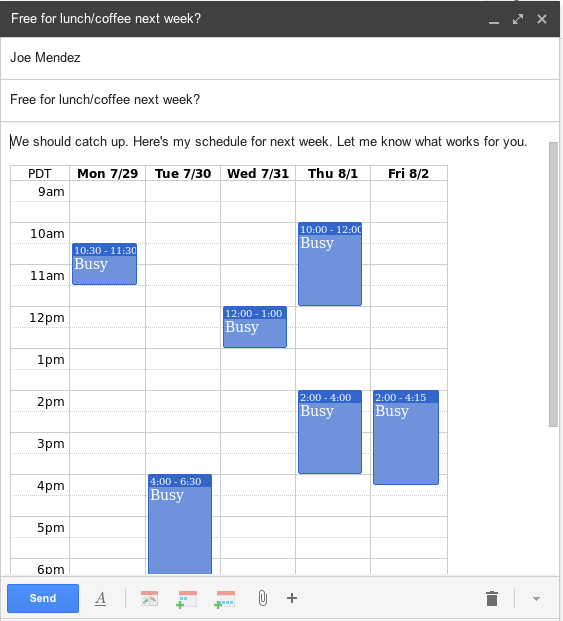 Boomerang Calendar lives where your schedule does - inside your email. It's right there to help you, with the AI automatically noting your free/busy status when an invitation comes in. You don't need to leave your inbox, and you certainly don't have to copy and paste all the meeting details since Boomerang Calendar can intelligently parse them directly from the email. 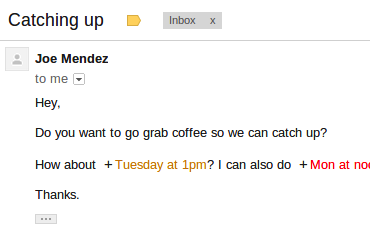 You know how it goes: you try to set up a meeting, then six rounds of scheduling “ping-pong” later you still haven’t landed on a date that works for both parties. Boomerang Calendar includes an interactive UI that simplifies the entire scheduling process (proposal and confirmation) to a single email. With a few simple clicks, you can communicate your availability and proposed times in a visual interface, allowing your recipient to confirm the meeting with no additional action from you. 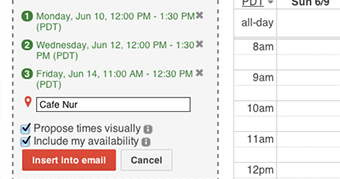 The visual availability features work regardless of whether the recipient opens your email on a phone, in Outlook, or anywhere else, and they don’t need to be using Gmail or Boomerang Calendar. 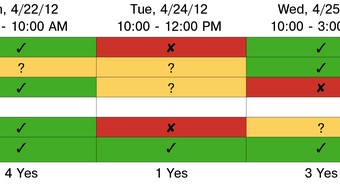 It's a smarter, better way to set up a meeting. 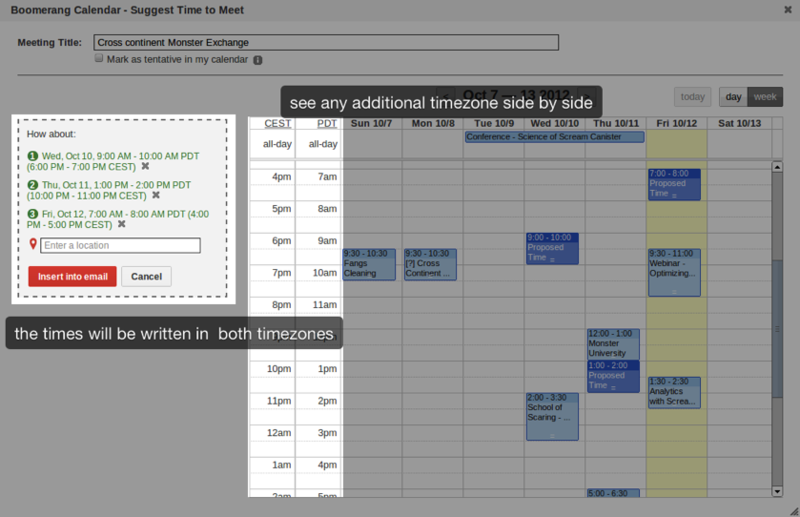 If you're scheduling a meeting with someone on a different coast (or continent), you can now see both timezones next to each other while suggesting times to meet. You'll know immediately what the best time is for a call between London and San Francisco, or Bangalore and Miami. 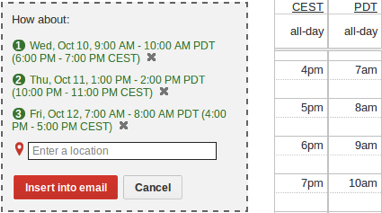 The email Boomerang Calendar creates will have the times listed in both timezones, so nobody has to do the translation by hand anymore. Coordinating across the globe just became a lot easier, and a lot less mistake-prone. When you’re asked, “What does next week look like for you?” you no longer need to type the novel that is your availability. 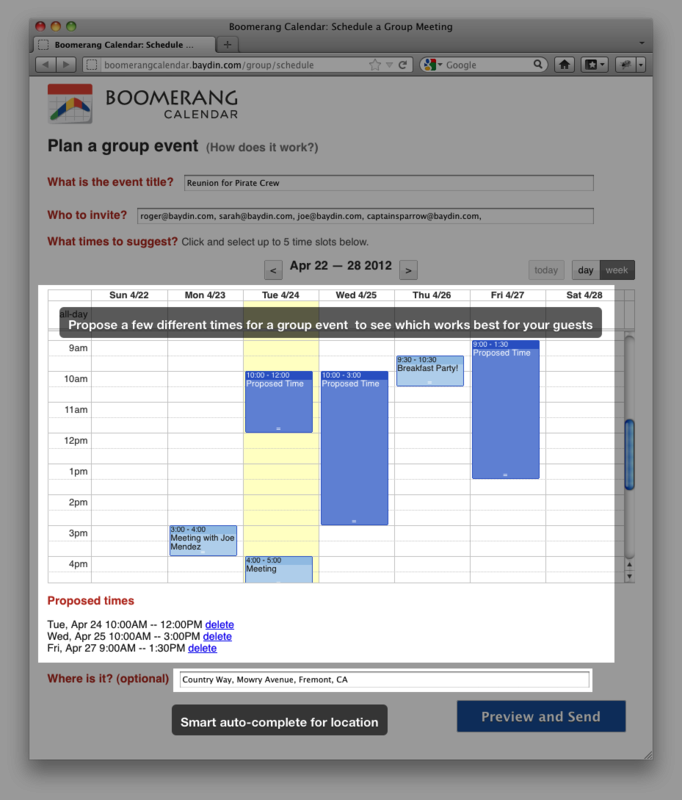 Boomerang Calendar includes the best system for coordinating a group event anywhere. Just choose times from your calendar view, and Boomerang Calendar will email all participants asking which of those times works for each of them, with a form they can fill out directly from inside their email. As participants respond, the emails themselves will update to reflect availability. 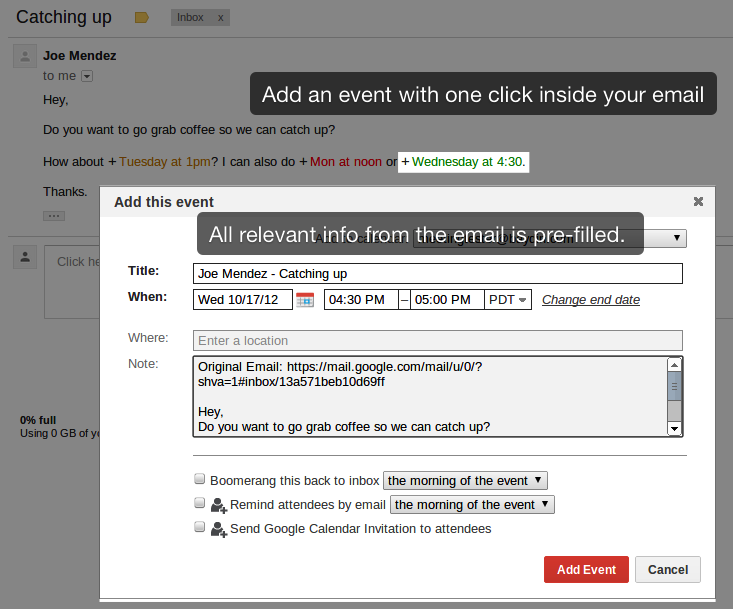 It's never been easier - and participants don't need Boomerang calendar or Gmail, just an email address. Demo at 5pm on Tuesday. Dinner at 7pm. Drinks at 9. Boomerang Calendar helps you keep all these events straight. You won't need to reschedule meetings, and you can spend all that time you used to spend managing your calendar on closing more deals. If you're part of a small business, you have to wear a lot of hats. Organizing your calendar shouldn't be one of them. 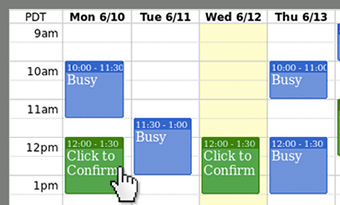 Boomerang Calendar gives your entire organization an assistant that makes scheduling a breeze. 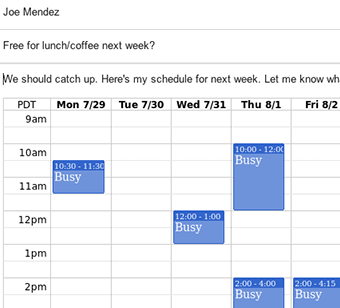 From freelancers to soccer moms to CEOs to admins, coordinating calendars becomes more difficult each year. 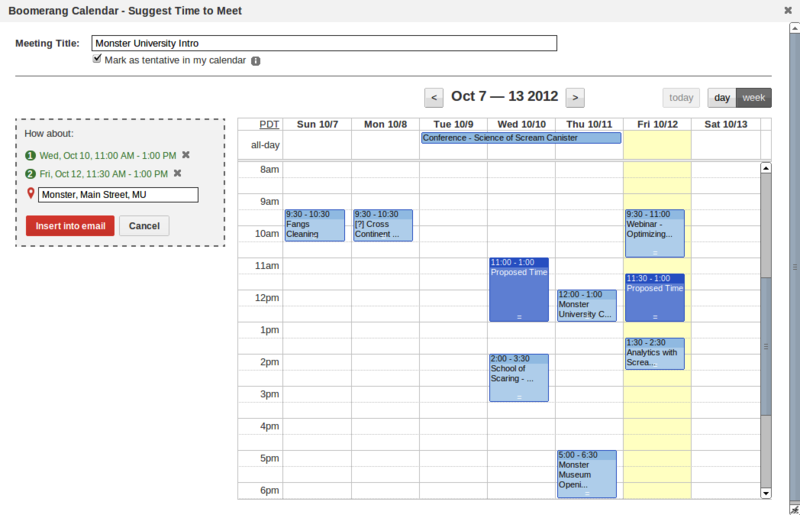 Regardless of what's on your business card, if you have a busy schedule, Boomerang Calendar can help. So what's it actually DO? Sure you don't just want to download it and find out? OK, OK, fine. Here's a feature tour! Copyright © 2012-2018 Baydin, Inc. U.S. Patent 9,990,611. All Rights Reserved.